While living in Maryland, we frequented an award winning sushi house just minutes from our house. We don’t eat out a lot, but when we do, you could almost bet that we would go to the sushi house. And I would almost always get their cucumber salad as a starter to my meal. Since moving to Pennsylvania, I was really missing my sushi house and the cucumber salad I would always get. So I decided to make it myself. Okay, so the real truth of the matter is that I needed another excuse to bust out my Spirelli. I love this thing, guys. Like really, really love it. A whole lot. In all seriousness – I’ve used it every day since I got it in the mail. If you haven’t jumped on the Spirelli bandwagon, now’s a good time. You’ll thank me later 😉 I have a bunch more ridiculously good recipes in the works using this brilliant contraption. So far, I’ve only been able to find it online. I got mine here. 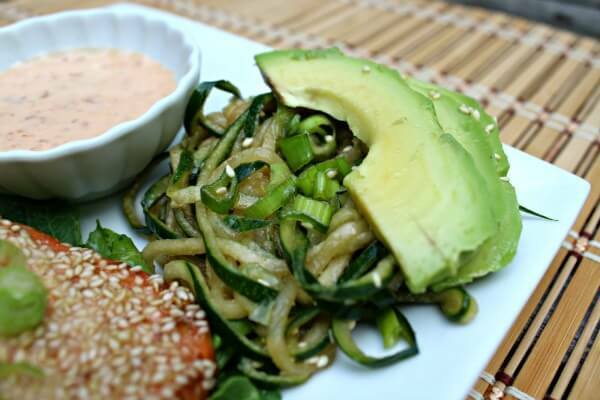 This recipe is spot on for the cucumber salad I would always get at my sushi house. This makes a great lunch, side dish for dinner or quick salad on the go. 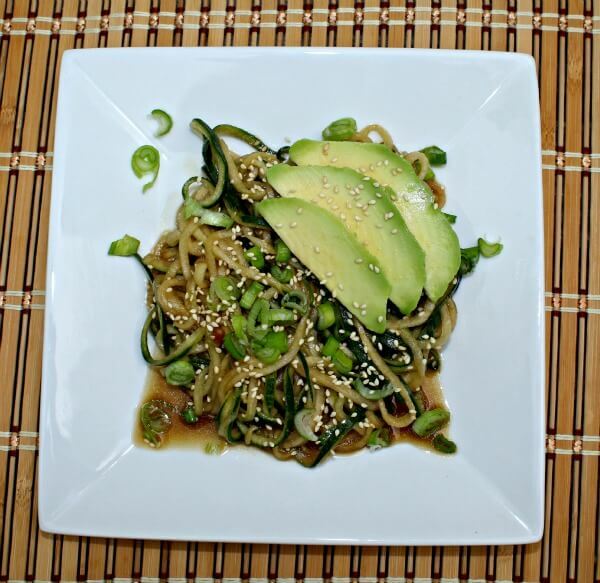 Top it with some avocado and you’ve got one tasty little dish! It also pairs beautifully with my sesame crusted salmon recipe! bowl and stir to combine. 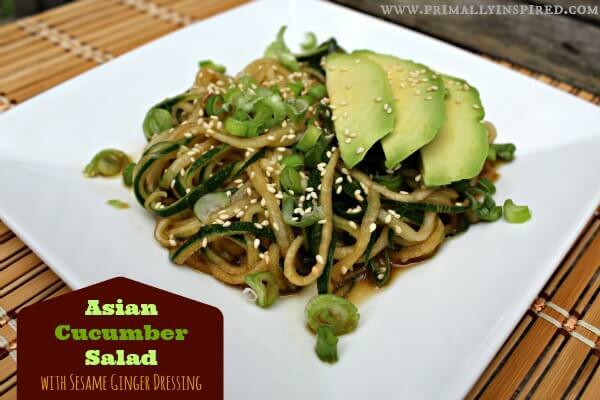 Toss the cucumber noodles with the dressing and refrigerate at least 10 minutes. This looks great and I can’t wait to try it! Just out of curiosity, what sushi restaurant did you used to go to? I’m in the Baltimore area and always looking for good places. 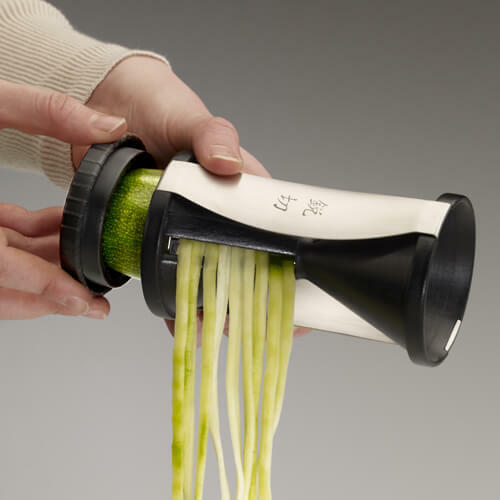 🙂 Also, is the spirelli much different from a mandoline slicer with a julienne attachment? looks delicious, from your pictures it looks very much like a zucchini (courgette), are you sure its a cucumber salad? I’m with you it has to be zucchini. I cook and go to farmers markets a lot and I’ve never seen a yellow cucumber. 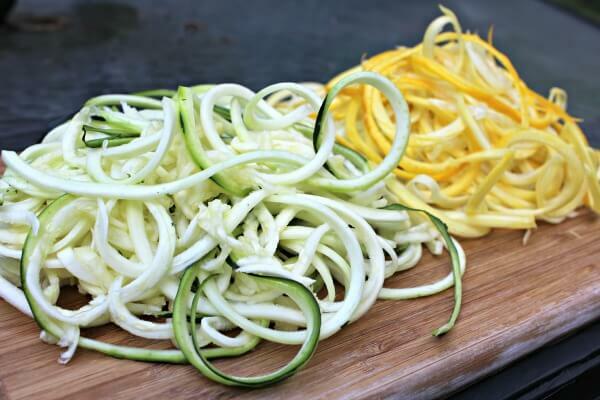 Even the texture of the green one in the pic before it’s cooked looks like zucchini. Cucumber would be wetter and have at leave one seed visible unless she de-seeded them which I would recommend before spiralizing. The pic of using the device could be a stock photo but that’s of zucchini too. Hopefully she will respond if only to tell us where she got yellow cucumbers. Hi Sherry! Yes, you are right! The pic of the yellow squash and green squash are definitely squash. I just wanted to show a picture of what that little spirelli can do 🙂 Sorry for the confusion! The Asian Cucumber Salad pics are all cucumber, though. Have already made this twice! My daughter and I can’t get enough of it. Reminds us of the flavors in seaweed salad. 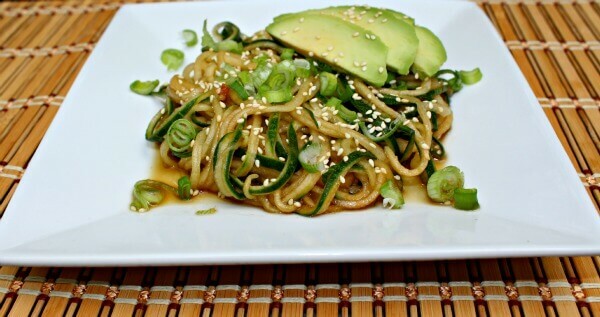 Have made it with cucumbers cut in the “noodle” shape and also just sliced. Definitely prefer the “noodles”!